39 Commonwealth is located on the north side of Commonwealth, between Berkeley and Clarendon, with 37 Commonwealth to the east and 41 Commonwealth to the west. 39 Commonwealth was designed by architect Nathaniel J. Bradlee and built ca. 1872, one of three contiguous houses built ca. 1872-1873 (35-37-39 Commonwealth) and one of ten contiguous houses (29-31-33-35-37-39-41-43-45-47 Commonwealth) built in the same design between 1863 and 1873. 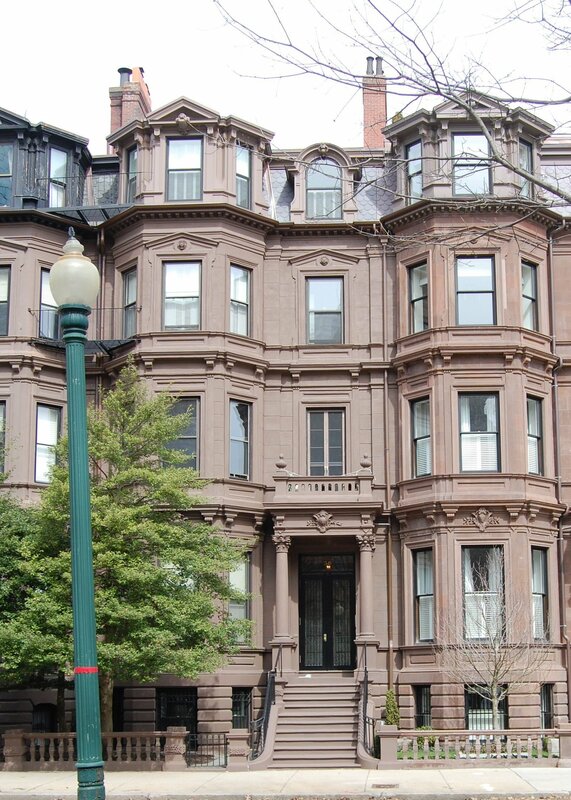 39 Commonwealth was built as the home of Isaac Danforth Farnsworth, treasurer of the Boston Wharf Company. He was unmarried and previously had lived at the Revere House hotel. Isaac Farnsworth purchased the land for 39 Commonwealth, with a 26 foot frontage, on July 1, 1871, from Samuel H. Walley. It was part of a 28 foot lot which had originally been purchased from the Commonwealth by Freeman Allen on October 31, 1860. Samuel Walley sold the remaining 2 feet of the lot to Elisha Atkins for 37 Commonwealth. Click here for an index to the deeds for 39 Commonwealth. By 1880, Isaac Farnsworth had been joined at 39 Commonwealth by Mrs. Caroline Willard (Pierce) Ryan, who served as his housekeeper. She was the former wife of Edward George Ryan, a Milwaukee attorney and Chief Justice of the Wisconsin Supreme Court. Their daughters, Agnes Ryan and Caroline Willard Ryan, lived with her at 39 Commonwealth. Caroline Ryan married in June of 1884 to Joseph Leland Keith, publisher of the New England Farmer newspaper; after their marriage, they lived in Grafton, Massachusetts. Isaac Farnsworth continued to live at 39 Commonwealth until his death in January of 1886. In his will, he named Agnes Ryan as his residual legatee. 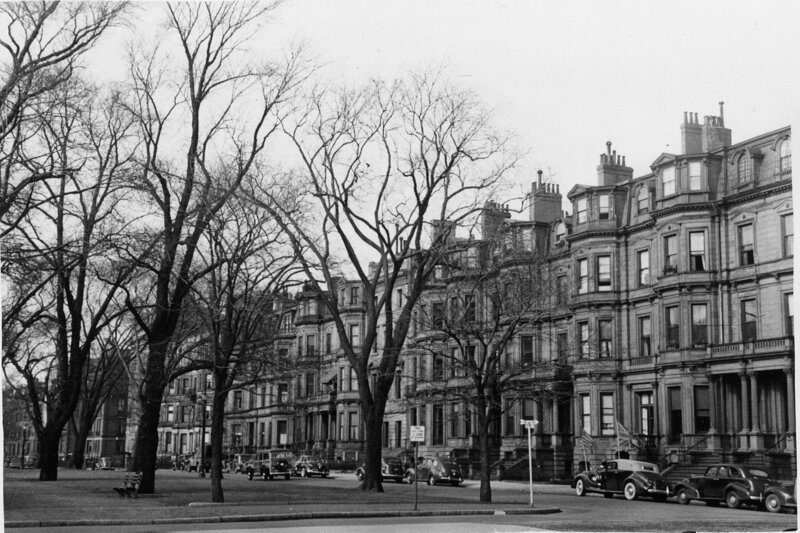 Caroline (Pierce) Ryan and Agnes Ryan continued to live at 39 Commonwealth during the 1886-1887 winter season, but moved soon thereafter to the Hotel Victoria at 273 Dartmouth. In 1887, 39 Commonwealth became the home of Henry Mason and his wife, Helen (Palmer) Mason, who rented the property until March 1, 1888, when he purchased it from the estate of Isaac Farnsworth. The Masons had lived at 116 Commonwealth during the 1886-1887 winter season and in Brookline before that. Henry Mason was a founder and partner in Mason & Hamlin, manufacturers of organs and pianos. He died in May of 1890. 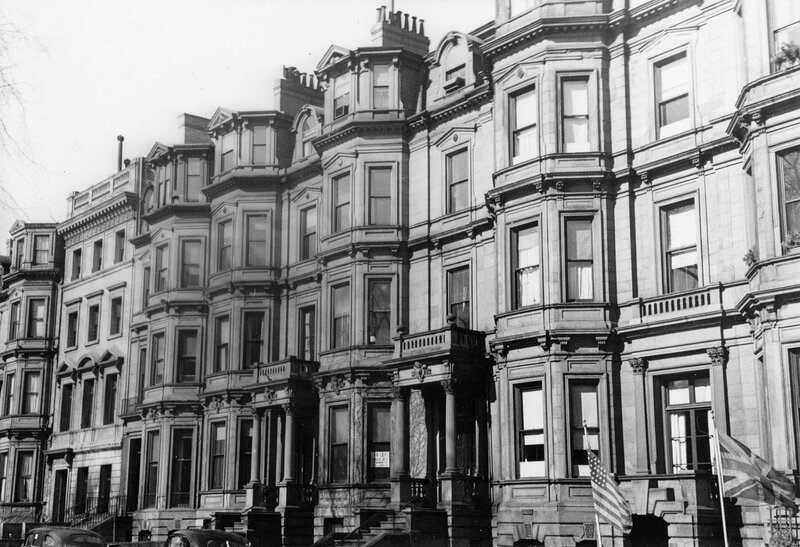 Helen Mason continued to live at 39 Commonwealth until about 1899, but had moved to 39 Newbury by 1900. On May 8, 1899, 39 Commonwealth was purchased from the estate of Henry Mason by cotton manufacturer and merchant George Dexter. He and his wife, Sarah Rogers (Endicott) Dexter, made it their home. They previously had lived in the Longwood district of Brookline. They also maintained a home in Prides Crossing. The Dexters’ son, William Endicott Dexter, a lawyer, lived with them until his marriage in April of 1904 to Mary Elizabeth Lindsay. After their marriage, they moved to 18 Marlborough. George Dexter died in July of 1910. Sarah Dexter continued to live at 39 Commonwealth until her death in January of 1916. On April 20, 1916, 39 Commonwealth was purchased from George Dexter’s estate by Miss Katherine Eliot Bullard (born Catharine Norton Bullard). She lived there with her first cousin, Miss Ellen Twistleton Bullard. Katherine Bullard was the daughter of William Story Bullard and Ellen Bullard was the daughter of Stephen Hopkins Bullard. Their fathers had been partners with Henry Lee, Jr. in the shipping merchant firm of Bullard, Lee & Co. Katherine and Ellen Bullard previously had lived at 3 Commonwealth with Katherine Bullard’s widowed mother, Louisa (Norton) Bullard, who died in September of 1915. In May of 1916, Katherine Bullard applied for (and subsequently received) permission to build a new interior stairway and make other improvements. In June of 1917, she applied for (and subsequently received) permission to add a one-story rear ell, approximately 17 feet x 10 feet, for use as a “man’s room.” The addition was designed by architects Bigelow and Wadsworth. Katherine Bullard died in December of 1920. 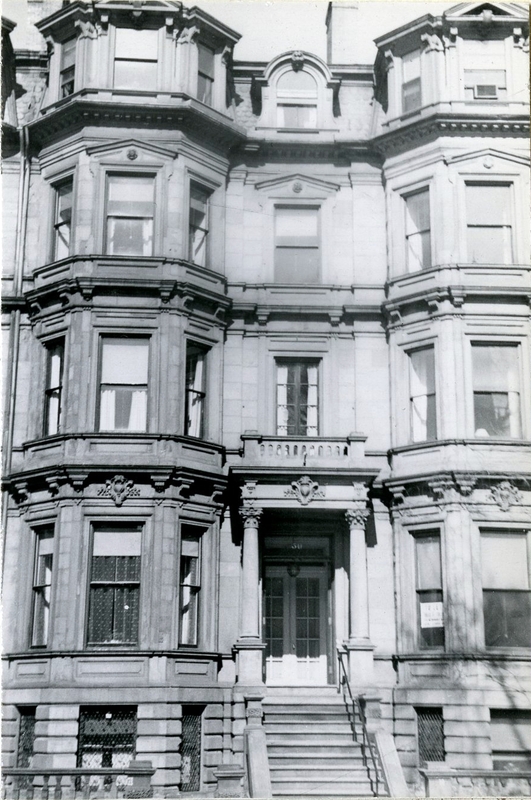 Ellen Bullard continued to live at 39 Commonwealth until her death in 1959. On December 24, 1959, 39 Commonwealth was acquired from the estate of Ellen Bullard by Chester Hammond. He previously had lived in Brookline. He was president of H. F. Livermore Corporation, makers of textile manufacturing machinery, and had served as an military aide to President Franklin Delano Roosevelt from 1936 through 1945. He continued to live at 39 Commonwealth until about 1964, when he moved back to Brookline. On September 26, 1963, 39 Commonwealth was purchased from Chester Hammond by Dr. Edward J. Baldi, a physician, and his wife, C. Phyllis Baldi. He also maintained his medical offices there. They previously had lived (and he had maintained his office) at 431 Beacon. In February of 1964, he applied for (and subsequently received) permission to convert the house from a single-family dwelling into seven apartments. On March 29, 1968, the roof and portions of the top story were damaged by the fire that destroyed the First and Second Church at the corner of Marlborough and Berkeley Streets. On September 3, 1975, 39 Commonwealth was purchased from Edward Cass by attorneys Laurence Eric Hardoon and Paul S. Samson. In April of 1977, they purchased 37 Commonwealth and in December of 1977 they purchased 41 Commonwealth. All three buildings remained apartment houses. In November of 1976, they applied for (and subsequently received) permission to add a one-car garage at 39 Commonwealth, built into the rear ell added in 1917 by Katherine Bullard. In July of 1983, they applied for (and subsequently received) permission to reduce the number of apartments from nine to eight. 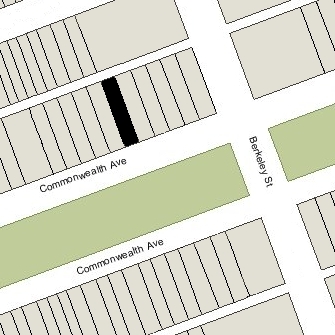 In December of 1986 they sold 41 Commonwealth, and in June of 1998, they transferred 37 and 39 to the Commonwealth Avenue Real Estate LLP. In November of 2005, the LLP sold 37 Commonwealth. 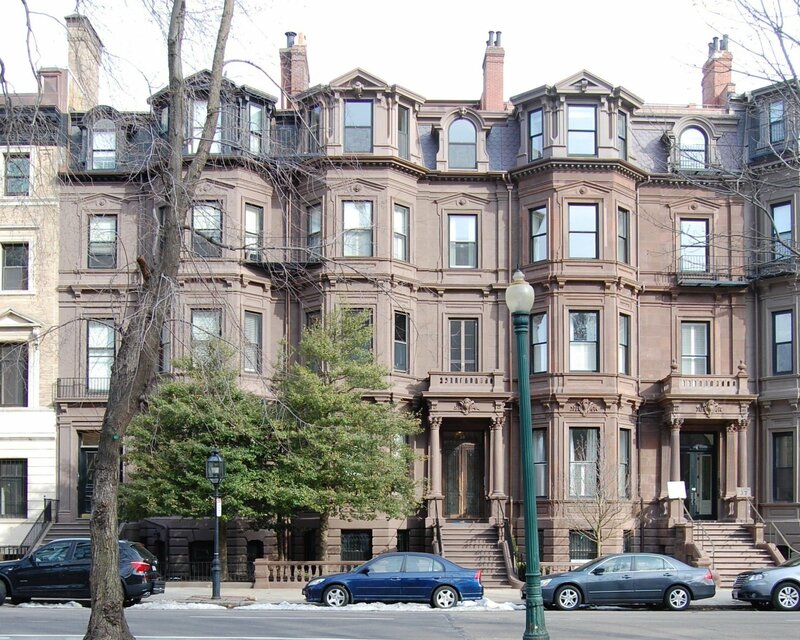 On October 14, 2005, the Commonwealth Avenue Real Estate LLP entered into a “Preservation Restriction Agreement” with the National Architectural Trust for the purpose of preservation of 39 Commonwealth’s exterior. 39 Commonwealth remained an apartment building in 2015.